The Great American Foodie Fest returns to Henderson (Las Vegas) Nevada at Sunset Station Casino parking lot. It's FREE to get in! This event was ranked Top 10 Food Festivals in America by Telegraph Travel, Top 15 Food Festivals in U.S. by Cardsbull.com and also voted 2013, 2014, 2015, 2016 & 2017, “Best of Las Vegas” by the Las Vegas Review Journal. The Great American Food Festival is a culmination of the best unique & innovative food vendors & top gourmet food trucks from all around the country that have been featured on popular food shows on the Food Network, Cooking Channel, Travel Channel and other TV networks. LAS VEGAS TASTE OF THE CARIBBEAN Coming! 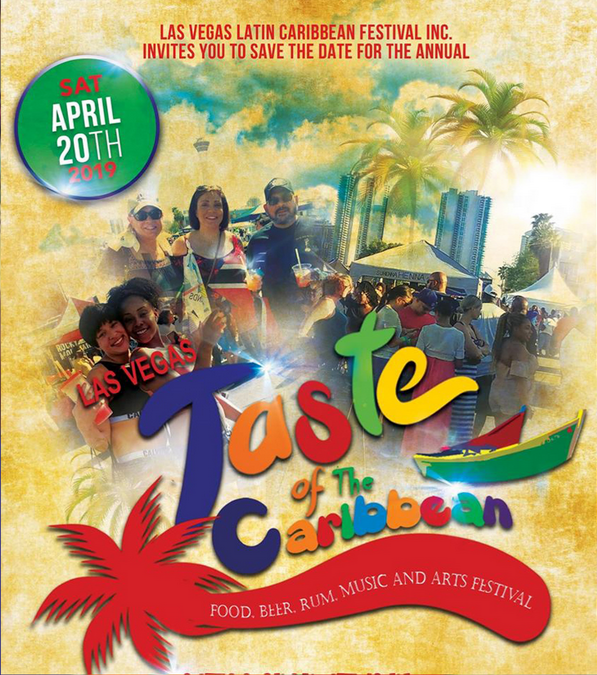 The 4th annual Las Vegas Taste of The Caribbean, a local urban passport to explore Latin, Caribbean, West Indian, Diaspora food, music, arts and culture, is scheduled to be held on Saturday April 21st, 2019 in downtown Las Vegas. The event features exquisite cuisines from countries including Jamaica, Trinidad and Tobago, Puerto Rico, Colombia, Belize, Nicaragua, Panama, Mexico, Peru and Venezuela to name a few. In addition to the tasty and delicious food featuring jerk chicken, curry goat, doubles, roti, arroz con pollo and pastelitos, event attendants are treated to the tropical musical genres of Soca, Reggae, Reggaeton, AfroBeats, Merengue, Chutney, Punta Rock and world music. 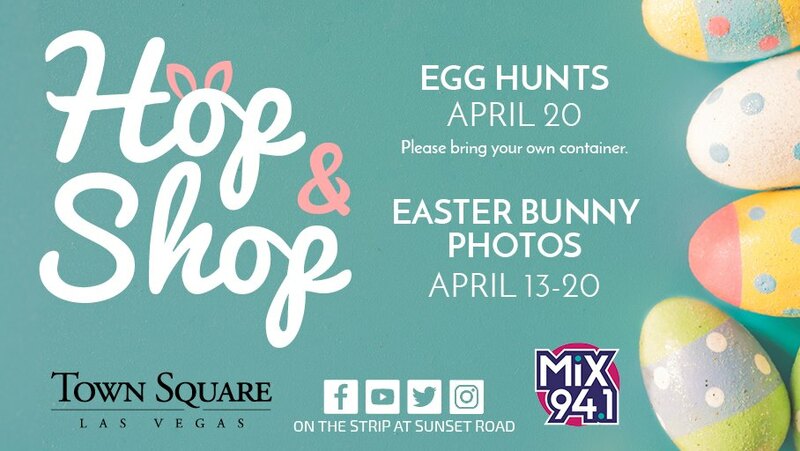 Hop & Shop Egg Hunt & Bunny Photos at Town Square! Families can visit Town Square from 10 a.m. to 5 p.m. in Town Square Park and The Green at Town Square. Free Easter Egg Hunts take place every 10 minutes during morning and afternoon sessions for children ages one to 10 years old. Egg hunts are divided by age groups: 1-3 years, 4-6 years, and 7-10 years. Egg hunt registration for the morning session begins at 8 a.m., for egg hunts scheduled from 10 a.m. to 1 p.m. Registration for the afternoon egg hunts starts at noon and will include egg hunts scheduled from 1:30 p.m. to 4:30 p.m. Egg hunts are limited to 50 kids per hunt. The Easter Bunny will be on hand for photos April 13-20. The first 100 paying customers on Friday & Saturday will get a FREE 60-minute pass for their next visit! All others who attend the event will get a FREE 30-minute pass for their next visit!